Digital Dentistry: How Tech Savvy is Your Dentist? Technology is changing the way we receive dental care. If you still see a dentist that uses a black-and-white film x-ray to diagnose your dental treatment, then you probably don’t have a tech savvy dentist. Intraoral Digital Radiography and Digital Imaging have replaced the black and white x-rays of yesterday. Not only does digital dentistry make your dental visit faster and more efficient, it dramatically reduces radiation exposure. With the crystal clear images produced by this new technology you are empowered to make more informed treatment decisions. Your dentist is able to see things easier and clearer allowing them to make better decisions for your care as well. Giamberardino Dental Care is a tech savvy dental practice. Make an appointment with Dr. Giamberardino today for better care, a better experience and a better treatment outcome. Dr. Giamberardino and his team at proudly serve patients in Medford, MA, Winchester, Somerville, Malden, Everett, and surrounding communities. The new Schick 33 digital radiography system has revolutionized the dental industry. The Schick 33 intraoral digital sensor provides unprecedented clarity and detail which helps your dentist in the diagnoses and treatment of cavities, gum disease and other oral health problems. This new digital dentistry tool features amazing diagnostic quality images that can be customized to fit your individual diagnostic needs like general, endodontic, restorative or periodontics. The dentist can use the image enhancer to manipulate image sharpness for a comprehensive oral examination. Digital dentistry isn’t just for diagnosing your care; it can also make restorative treatment faster and more efficient. 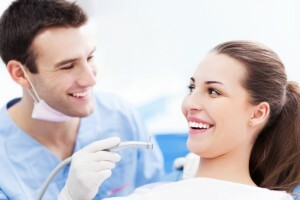 If you have ever had a tooth crowned in the past, you know that the process took two visits. Back then your dentist had to take a mold impression of your teeth, send it to a lab to be fabricated, and then it was placed at a second visit. Today, with the CEREC Crown system, your dentist can craft your custom crown right in the office during your visit. A digital impression of your tooth is taken, which the dentist uses to design, mold and place your new crown, in a fraction of the time it used to take. To get the best care possible you need to make sure that your dentist has the latest tools and technology and follows the best digital dentistry practices available. Digital Radiography helps your dentist clearly communicate treatment decisions. If you are looking for a progressive dentistry that is invested in patient health, look no further than Giamberardino Dental Care. Contact Dr. Giamberardino today for your next appointment. Dr. Giamberardino is now proudly serving the communities of Medford, MA, Winchester, Somerville, Malden, Everett and nearby areas. Comments Off on Digital Dentistry: How Tech Savvy is Your Dentist?